The New Orleans Pelicans recently cut Jordan Crawford, who has raised interest from many teams around the league. The former first round pick has bounced around to many teams, however played his best basketball while playing in green on the parquet. Could there be a reunion between Crawford and the Celtics? The journeyman is yet to find his niche in the NBA, having many brief stints with multiple teams and also playing in the NBA Development League. The most success he had was when he played for the Celtics in the 2013-14 season under Coach Brad Stevens. He was voted Eastern Conference Player of the Week, while calling Brad Stevens "his favorite coach." With the absence of Gordon Hayward, it's clear the Celtics could use additional scoring and depth at the wing position. Crawford's biggest asset is his ability to fill the hole, something that would complement a young Celtics team. Back at the 2013 trade deadline, Crawford was traded to the Celtics for Leandro Barbosa and Jason Collins. 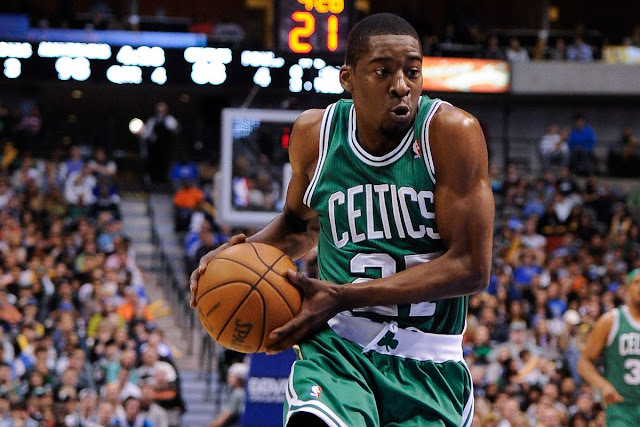 Due to the Rajon Rondo injury, Crawford became the starting point guard at the beginning of the 2013-14 season. On November 29, 2013, he recorded his third triple-double with 11 points, 11 rebounds and 10 assists in a 103-86 victory of the Cleveland Cavaliers. On December 9, 2013, Crawford was named the Eastern Conference Player of the Week after averaging 23.3 points, 6.1 assists, and 3 boards while shooting 61% from the field. This helped the Celtics go 3-0 for the week. Will Danny Ainge finally sign a player, or does he has something up his sleeve that nobody knows? Similar Articles: Celtics have one open roster spot-who could fill it?